In today’s business environment, everyone sells – from the business owner to the deliveryman in an organization. Do you need to improve your selling skills and build your strong customer base? In consultative selling, the importance of building long-term relationships with customers and developing your sales goals and objectives are key functions of being successful. v Consultative selling has proven to be one of the most valuable sales strategies. It focuses on real issues for the customers – business results. v Easy-to-follow steps yet in-depth enough to sell improved customer profit instead of products or services. v You are no longer a vendor, out to sell a customer a product; you are a consultant, out to help your customer's business grow. v Enhance selling skills through a better understanding of behavioral styles, customers' needs and motivations. v It is the way to building long-term and continuing relationship with your customers. v It is a practical and direct means for anyone who has to put across an idea to convince someone to act. v Include specific techniques for questioning and approaches for better understanding customer needs, motives, and behavior. v Shows how to develop a mind-set that considers the customer in each part of the selling process. v Consultative selling is a tactic and a strategy. Ø Select an account that provides an opportunity. Ø Identify a tentative goal for that account. Ø Analyze the account in terms of needs, changes, market place and industry trends to uncover broad opportunities. Ø Determine the competitive situation. Ø Analyze the account’s decision-making structure. Ø Identify the opportunities that will give you the best pay off. Ø Develop specific goals for the account. Ø Develop a strategy – a master plan to reach your stated objectives. Ø Analyze account’s opportunity areas to discover ways to improve their business results. Ø Develop customer’s awareness of a problem affecting their operations and results. Ø Identify possible solutions to explore with your account. Ø Determine solution value projected over a period of time. Ø Test the solution with your account and modify as required. Ø Continue partnership during implementation. 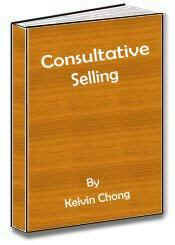 Kelvin Chong has been in the selling profession for the past 25 years. He has worked for various multinational Companies operating in Singapore – ASEA (ABB), Foxboro, Eckardt, Texas Instruments and Pepperl+Fuchs. 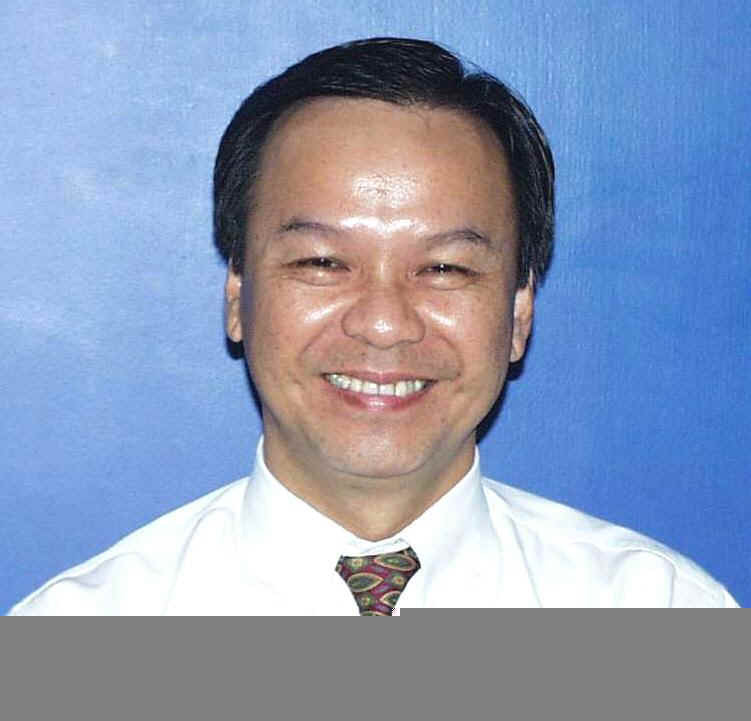 Started as a Sales Engineer for the Singapore market and then as Area Manager for the ASEAN countries. His last position as Director, Sales & Marketing covered the Asia Pacific region. Products handled range from electrical switchgear, instrumentation, digital control systems and intrinsically safe equipment. He has mentored many successful sales personnel in all these organizations. Currently, he is a Sales Consultant in private practice. The e-book is in PDF file and written in a seminar presentation format. You can either view it using your personal computer or print it out and read as a regular book. All salient points in each step are highlighted concisely. Hurry! Buy now! Before this Offer Price is Over!